Crude Protein 24%, Crude Fat 10%, Crude Ash 6.5%, Crude Fibres 3%, Energy 338.75 kcals/100g. 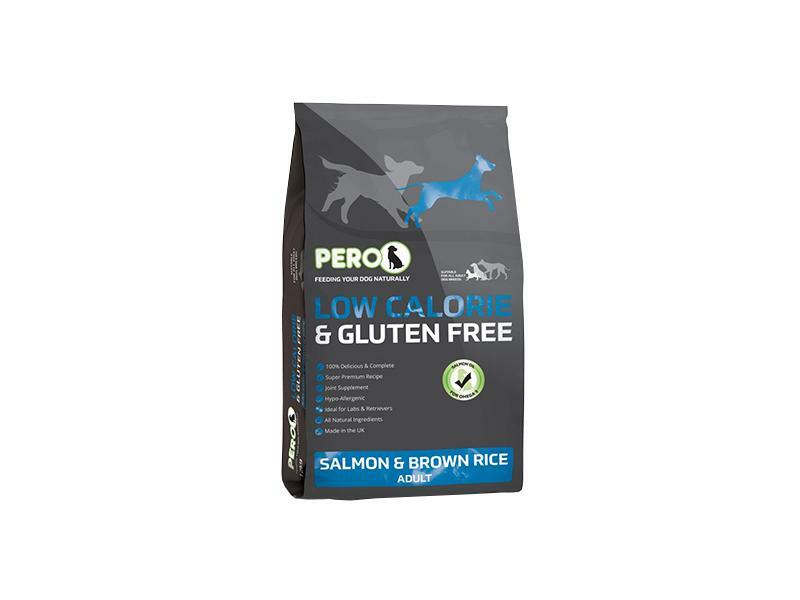 Brown Rice (40%), Fish (33% - Salmon Meal 14%, Fish Meal 8%, Hydrolysed Salmon 11%), Beet Pulp, Salmon Oil (5%), Sweet Potato, Flaked Potato, Chicken Gravy, Minerals, Krill, Yucca extract, Glucosamine (175mg/kg), Chondroitin Sulphate (80mg/kg), Cranberry (80mg/kg). Vitamins: Vitamin A 15,000 IU, Vitamin D3 2,750 IU, Vitamin E 100 IU, L'carnitine 100mg. Trace Elements: Zinc chelate of amino acid hydrate 33 mg, Zinc oxide 132 mg, Iron Sulphate Monohydrate 167 mg, Manganese oxide 32 mg, Cupric sulphate pentahydrate 60 mg, Calcium iodate anhydrous 3.28 mg/kg, Sodium Selenite 0.22 mg. Antioxidants. 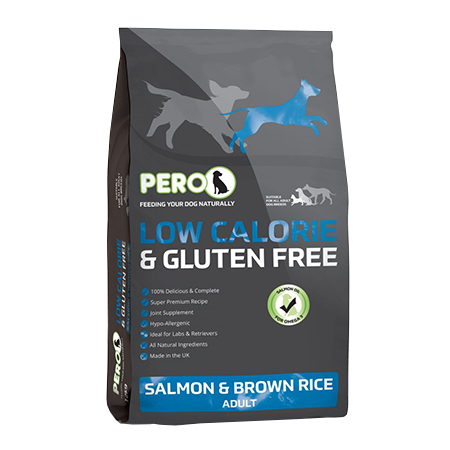 There are currently no questions for Pero Low Calorie Salmon & Brown Rice - be the first to ask one!